Right-On Chuck...I'm glad you guys had a good time. I went to Hills Creek today with Bottom Bob from OFF and had a great time, we got there around sunrise and left around 3 pm....the weather was perfect and the fishing was reasnable. 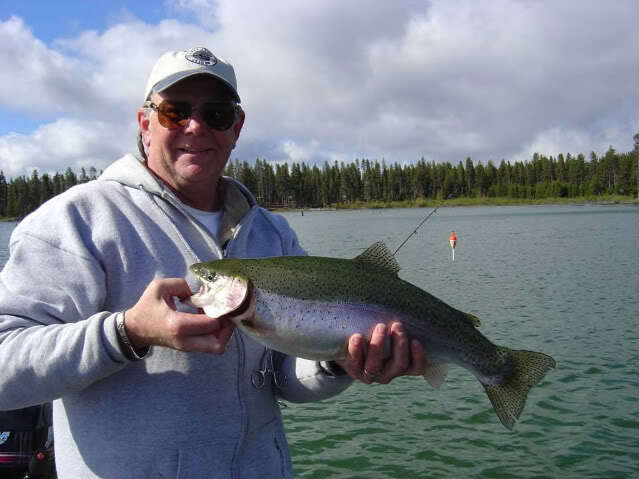 Caught some very nice Native Rainbows....the lake is as full as I have ever seen it for this time of the year...very beautiful place.. Campers and boaters galore, but the lake is so large that no one bothered anyone else...what a great day.